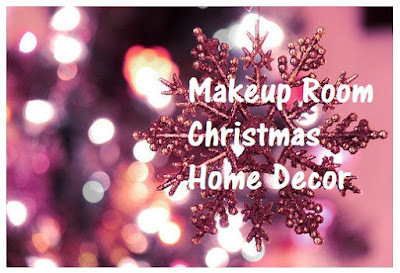 If you have watched any of my vlogmas on my snapchat you will have already seen my make up room Christmas decorations, but for those of you who haven't seen it or don't have snapchat I wanted to do this blog post to show you all how cute my make up room looks this December..
Don't forget to check out "My Home Christmas Decor" blog post I posted yesterday too! 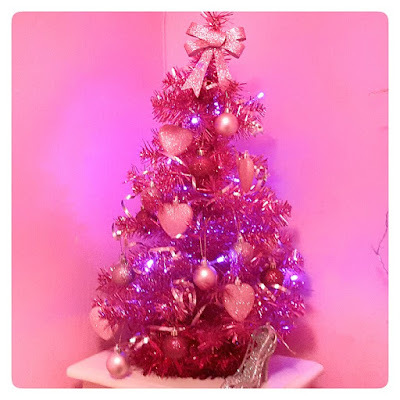 - I got my pink Christmas tree from Amazon Online, it's 60cm long and is the most adorable thing in my make up room right now! It wasn't pricey at all either, I think it cost around £5 (excluding P&P). - My pink fairy lights are also from Amazon Online and again were rather cheap, about £5 (excluding P&P). They are battery powered and do not come with batteries. - The little pink hearts are from B&M Stores, I got them last Christmas and I think they are just adorable. They were £1.99 for a pack of 12. - The little pink balls are from PoundStretcher, came in a pack of 24 and they come with all different sizes in the pack. Obviously I haven't got the whole 24 of them on the tree as it's only small. They cost £3.99. - The silver sparkly Christmas shoe is from B&M Stores an came in a pack of 6. I have the other five scattered across my make up room. They cost £2.99. 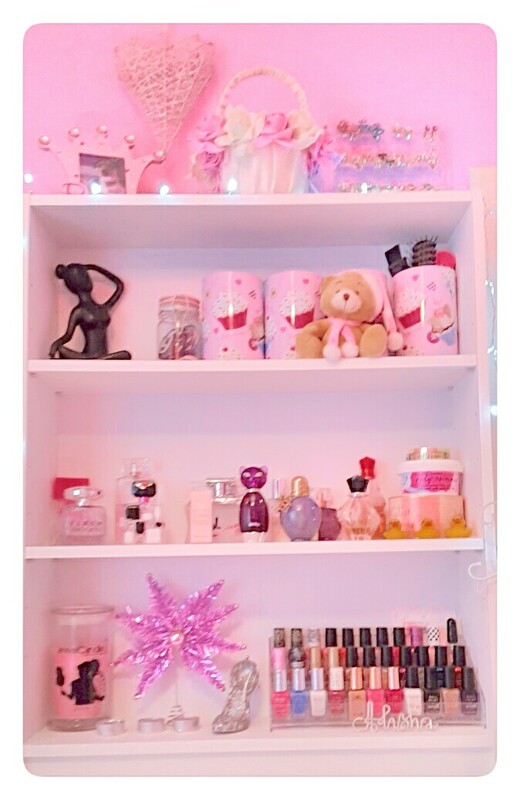 - The pink bow at the top is again from B&M Stores. They came in a pack of four for only 99p. They are to put on presents really as bows with name tags but I do think it's so cute on top of my little Christmas tree. - The white coloured Christmas lights that are around my shelves are from PoundWorld and were only £1. They are battery powered and look so adorable. If you've watched my snapchats you will also see that I have these just under my window ledge as well. - The little teddy bear in the pink hat and scarf was a present from my Nan when I was younger (Moo, my younger brother, also has one with a blue hat and scarf) so I'm sure where she bought them or how much they cost. - One of the bottom shelf the big pink star is a topper for on top of a Christmas tree but it wouldn't fit properly on my little tree as it looked silly and also kept falling over so I just put it on the bottom shelf where I had an empty space. I bought this last year in B&M Stores and was either 99p or £1.99p. - The little tea light candles are from Home Bargains, they are all silver glittered and sparkly inside and are so cute. They came in a pack of six and where 99p. - The little silver glittered shoe is the same as the one next to my Christmas tree above. As I said above, I also have some white coloured Christmas lights just under my window ledge and some silver shoes on my window ledge each side. I have a penguin ornament on my desk which I have put some pens in as well. I hope you all are loving this adorable blog post just as much as me! And I really hope you are all having a wonderful magical Christmas time.